Prominent & Leading Manufacturer from Delhi, we offer Hair Extension Bun, Hair Bun, Colored Hair Extensions, Bun Hair Extension with Straight Hair, Brown Hair Extension Bun and Remy Straight Hair Extension Bun. 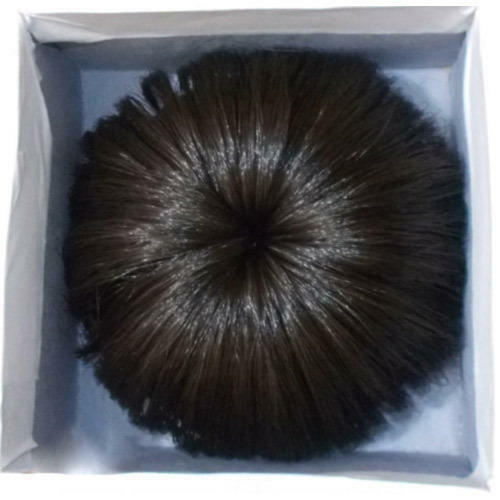 Our organization has come up with engaged in proffering best array of Pony Tail Hair Extension Bun that are available in many specifications. They are stylish and glossy. With the valuable assistance of experts in our team, we are engaged in tendering best array of Hair Extension Bun. They are available at lowest rates. Admired by many patrons, we are presenting a best-in-class Hair Buns. These products are precisely designed and available to the clients at very reasonable price. Our team of dedicated professionals is engaged in offering best quality of Hair Juda Bun, which is known for its appealing design and economical price. We are engaged in proffering best array of Hair Extension Bride Bun. They are highly appreciated for its quality and shiny finish. This is ombre color human hair extension. It's 100% tangle free ombre color with light brown at the bottom. There is no hair falling in the machine weft. Specialties: We can supply Indian Remy Virgin Hair, Hair in Colors/Blonde Machine Weft in Silky Straight, Wavy, Deep Wavy, Curl, Deep Curly, Body Wave etc., textures and I,U,-Pre bonded Tips, closures in all colors available.